by Ricardo de Ostos and Nannette Jackowski London, 2017, 29x24cm, 152pp, illustrated, paperback. Is the idea of environment in architecture only ever reducible to ‘environmental architecture’? Our answer is a resolute no. 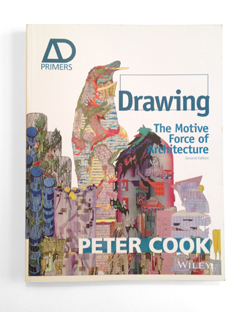 Instead we offer an alternative reading of ‘environment’, in which the brutal and lyrical are juxtaposed through visually compelling narratives of architecture. 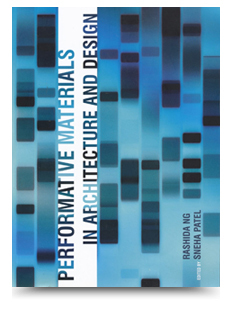 by Rashida Ng and Sneha Patel (Editors) 'Ectoplasmatic Library' by NaJa & DeOstos is featured in the book Performative Materials in Architecture and Design. 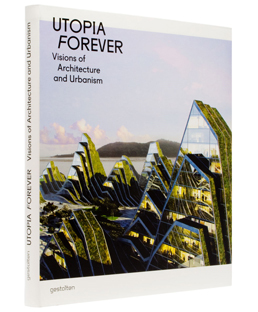 by Lukas Feireiss (ed) 'The Hanging Cemetery' and 'The Barbarian Spaceport' featured in Utopia Forever - Visions of Architecture and Urbanism, published by Gestalten Berlin, edited by Lukas Feireiss. 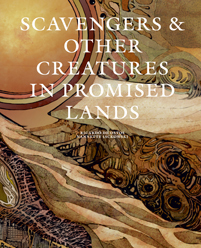 Ambiguous Spaces, an installment in the Pamphlet Architecture series and a return to Pamphlet's own progressive roots, features the architectural fictions "The Pregnant Island" and "Nuclear Breeding." These two projects develop alternative urban concepts that address the challenges presented by the specific situations and social dynamics described in controversial locations such as the Brazilian Tucurui Dam, the Three Gorges Dam in China, and former English nuclear test sites. 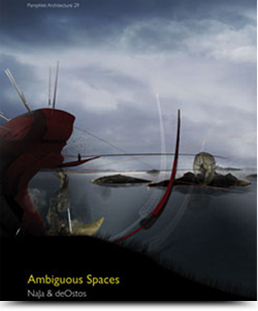 Using narrative techniques, fictional programs, ambiguous spaces, and building devices, Ambiguous Spaces explores people, communities, and even entire cities oppressed by a lack of freedom. 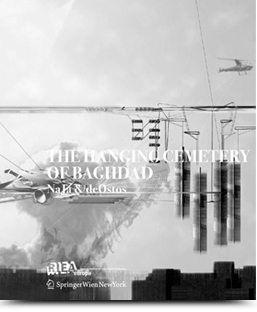 The Hanging Cemetery of Baghdad is a speculative project of architecture. Since its sketchy inception dating back to the summer of 2004 to today, we intended to explore what architecture could generate when faced with extreme cultural and political scenarios like the current crisis in the Middle east. As with the rest of our work, the focus of the project is less in the form of a final object than as a script that it inserts into the city.